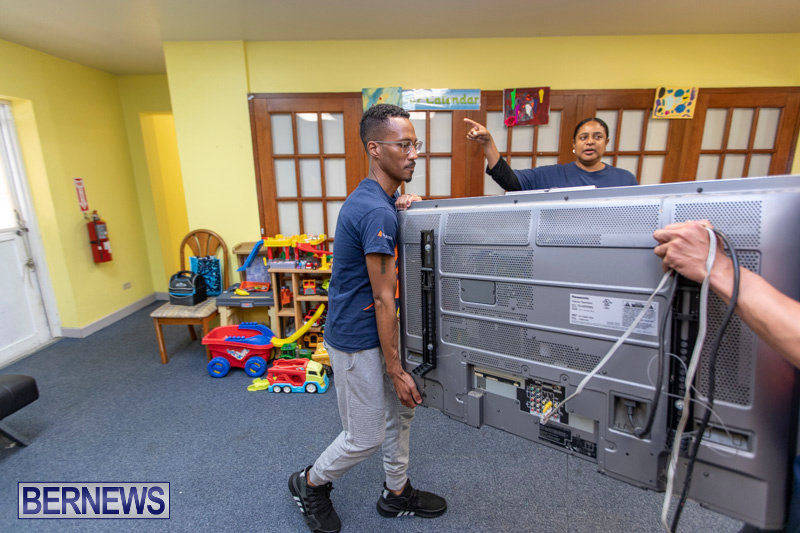 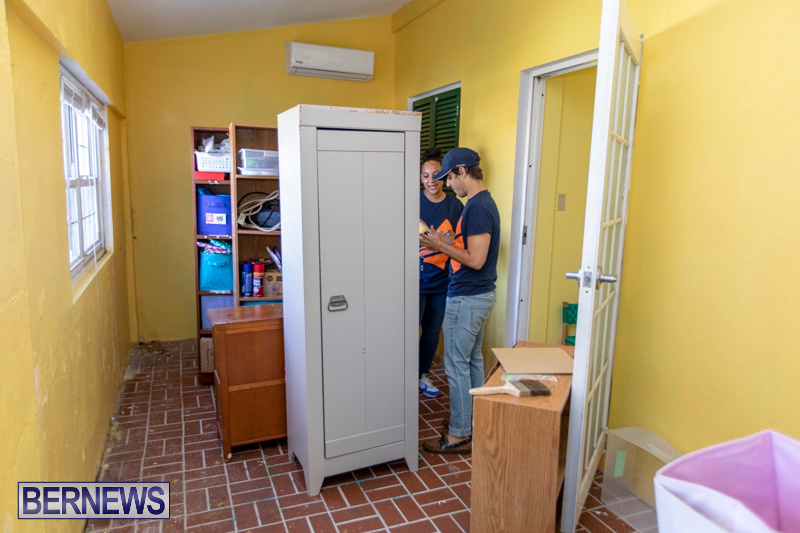 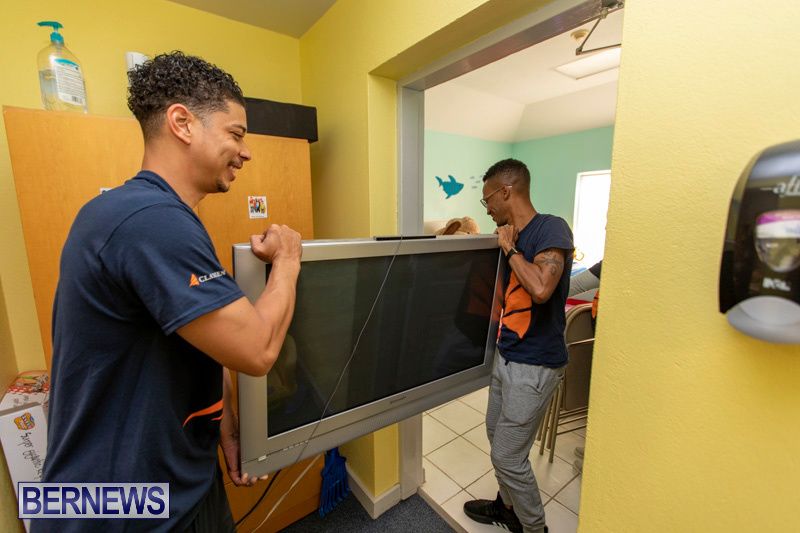 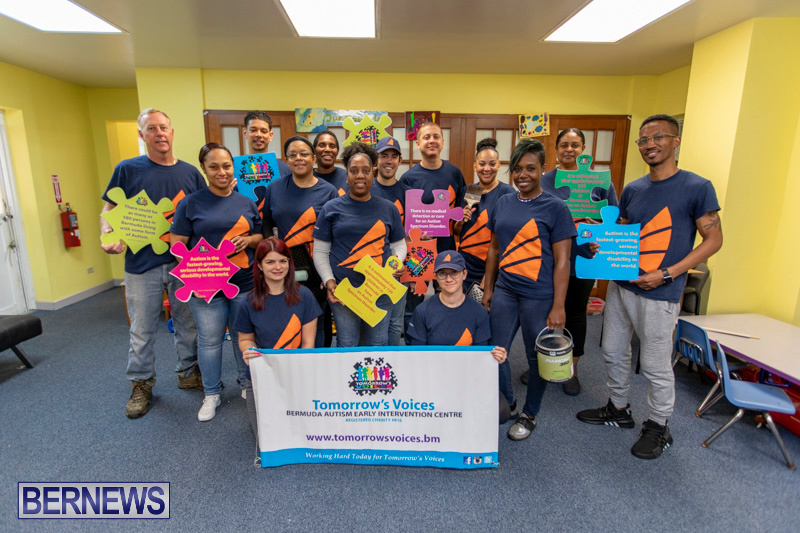 [Updated] Clarien Bank Limited held their GiveBack Day yesterday [March 27], with their employees volunteering at Tomorrow’s Voices, located in the Teen Haven Building in Pembroke. 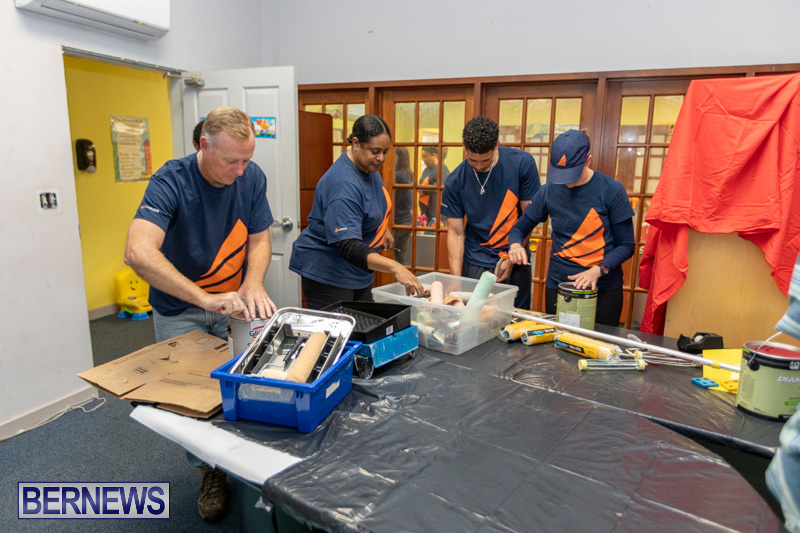 The initiative includes both financial donations and hands-on offerings, with this event involving painting on the premises, as the company moves to give back to the community. 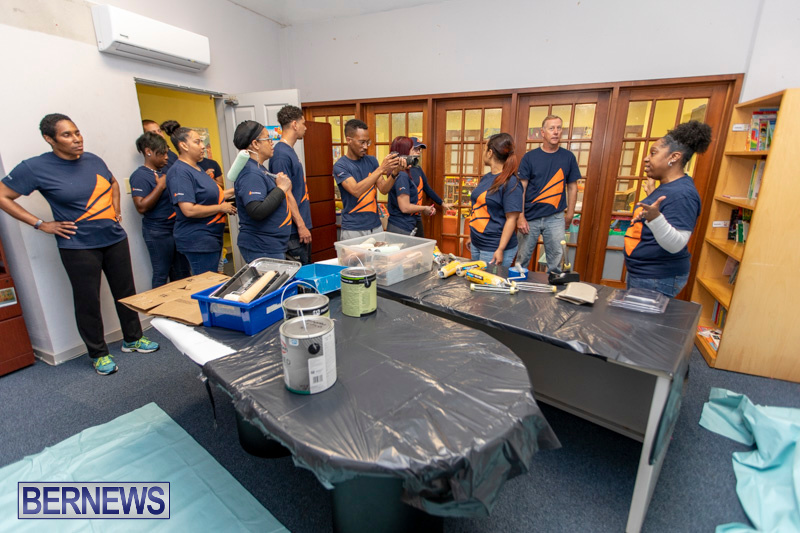 Update 3.20pm: A spokesperson said, “Clarien Bank volunteers yesterday devoted their time to helping local autism support charity, Tomorrow’s Voices. 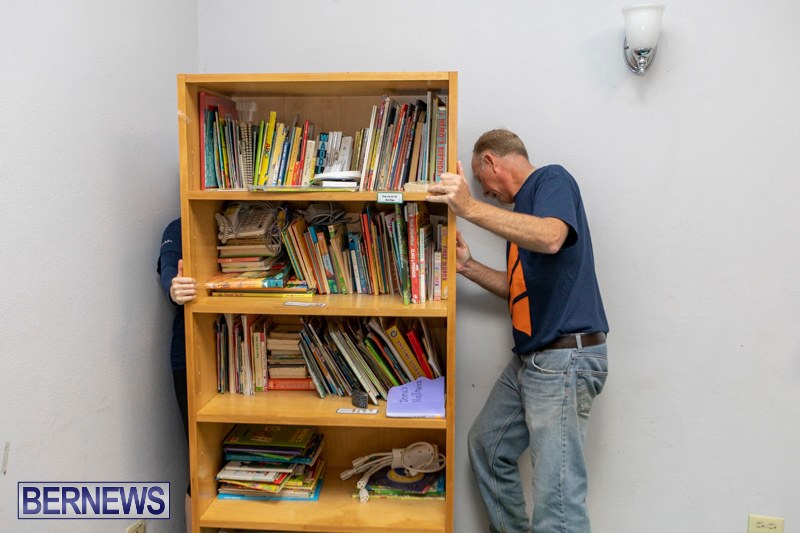 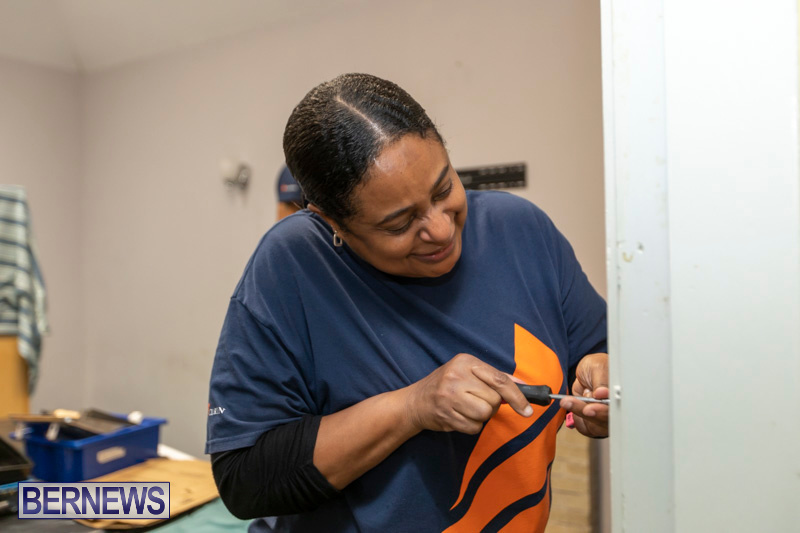 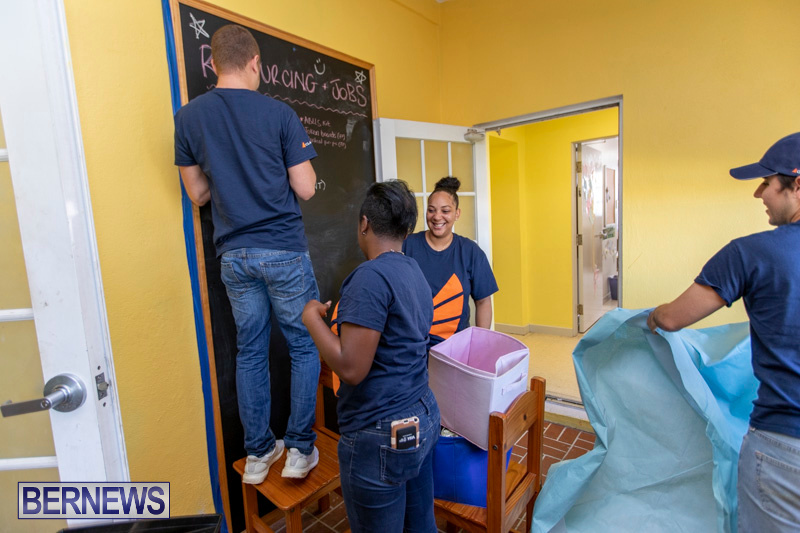 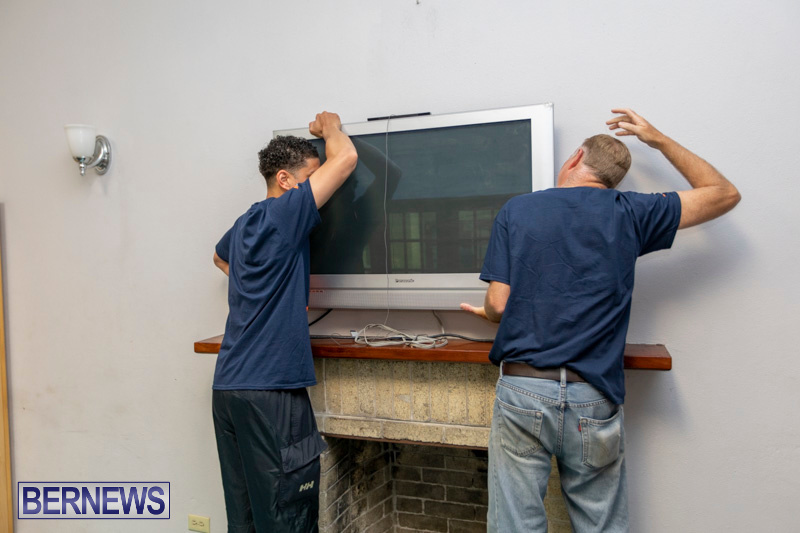 “Thirteen employees at the Bank, including Clarien CEO Ian Truran, spent their morning cleaning and painting the charity’s facility, located on Happy Valley Road in Pembroke. 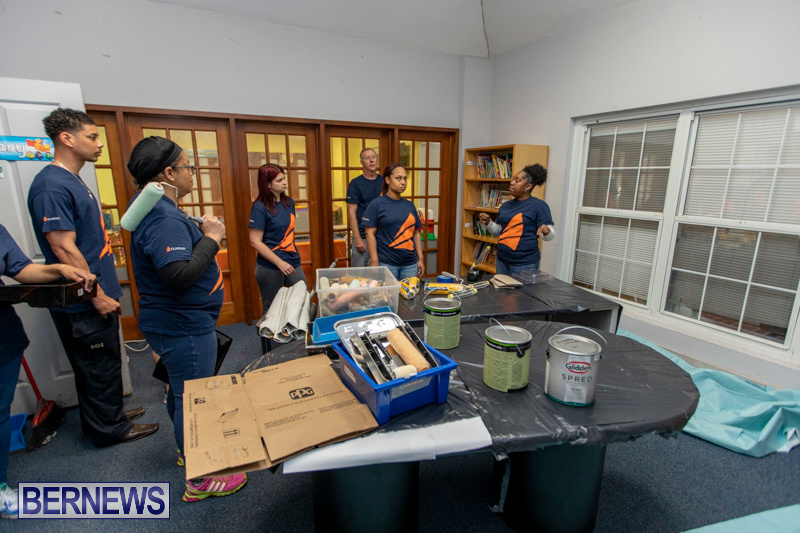 In need of updates and improvements to better meet the needs of its clientele, Clarien volunteers helped to paint an art room and library for children between age two and 21 who utilize Tomorrow’s Voices’ services. 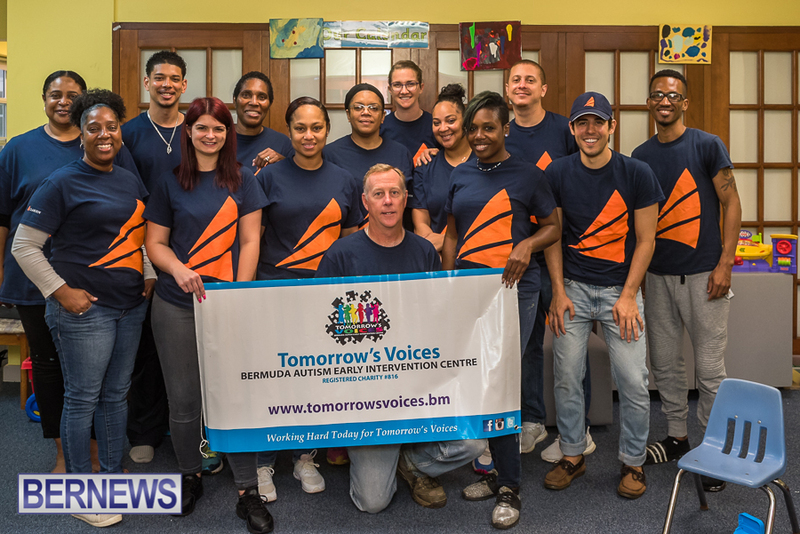 “Tomorrow’s Voices opened its doors to young people with autism or on the autism spectrum in October 2007. 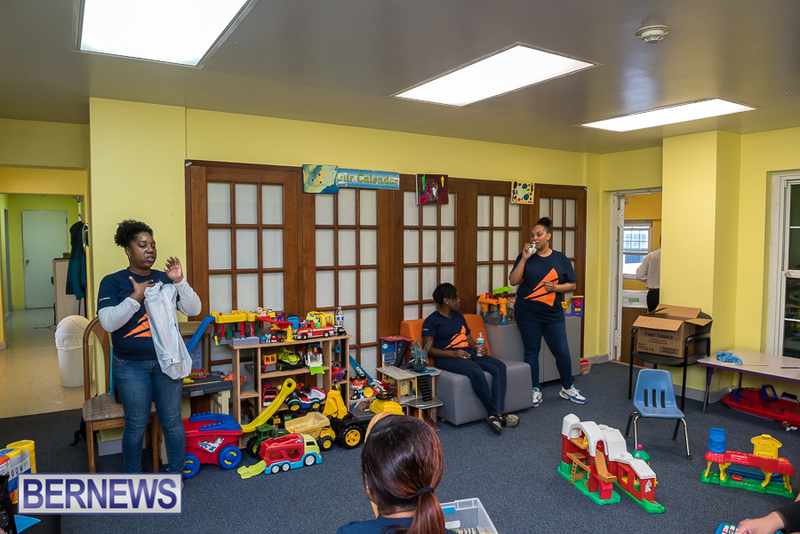 Offering a unique curriculum, the non-profit’s programmes help children strengthen their critical language skills, functional activity and socialisation, among other skills. 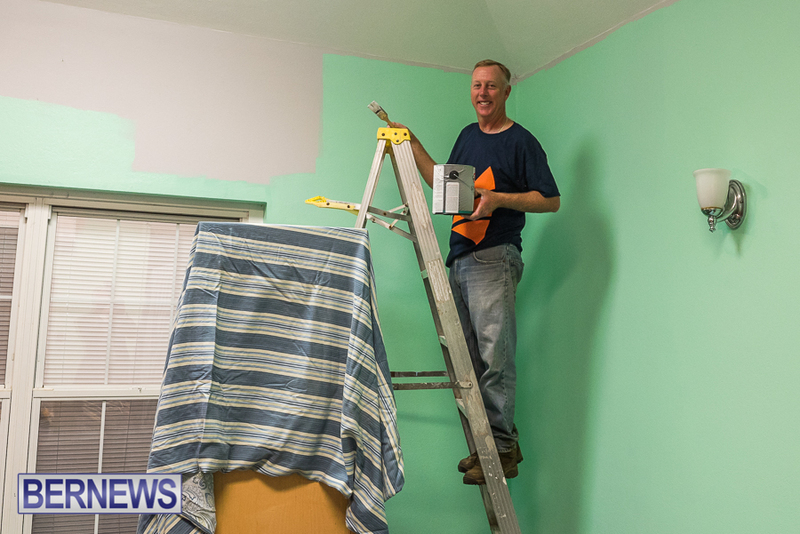 Last October, Clarien Bank also donated $10,000 to help with the charity’s operating expenses.